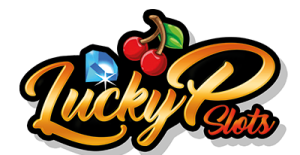 LuckyPSlots.com | Which online slot machine has the best payout percentage? Which online slot machine has the best payout percentage? Fans of slot machines do not always reflect on the payout percentage of a video slot. We, too, sometimes catch ourselves up. Too much we are guided by the comic theme, the swirling bonus rounds, the design and the maximum price you can win. Because no matter how much the eye wants, a flashy appearance does not always mean everything. There is a very important factor, which, certainly in the long term, can make a huge difference if you look at how successful your gambling activities are. The payout percentage of a slot machine. What does the payout percentage for a slot machine mean? The payout percentage of an online slot machine is also called payout percentage or RTP (Return To Player). This number is expressed as a percentage and indicates which part of the total stake is paid out to the player on average. Of course, the higher the payout percentage of a slot machine, the better it is for the player. How is the payout percentage calculated? The fabulous slot machine Creature From The Black Lagoon by Netent has a payout percentage of 96.5%. This means that with this video slot of every 100 euros that is used by the player, an average of 96.50 euros will be refunded to the same player. The house advantage in this case is 100% minus 96.5%, which amounts to 3.5%. Of every 100 euros that is used, 3.50 euros remains behind in the online casino. The payout percentage is calculated over hundreds of thousands of turns and therefore says nothing about the short term. It is of course quite possible that during your game you have a nice winning combination in short several times in succession, or even a lucrative bonus feature. Then the chances are that you are on profit. We call this happiness in the vernacular, but it actually means that you are on the right side of the statistics. If you play long enough, you will automatically be caught up by the payout percentage and you will ultimately end up losing. Which online slot machine has the highest payout percentage? We have put 5 online slots with extremely high payout percentages in front of you. Which do you choose? 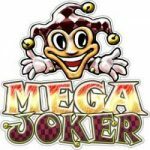 Mega Joker is an online slot machine from Netent with a payout percentage of up to 99%. Pay attention! This only applies in the so-called top game: make sure you play your game as much as possible here. 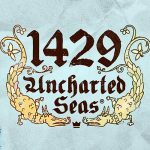 1429 Uncharted Seas is a beautiful video slot from Thunderkick, with impressive graphics, a beautifully worked-out theme and a free spins bonus with flapping wilds. Recommended! 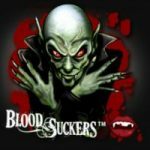 Blood Suckers from Netent has been a big favorite with online casino players for years and that has everything to do with the many bonus features and the sky-high payout percentage of 98%. Meanwhile, there is also a Blood Suckers II released, but it does not pay as much as the first part, which is seen as a true online classic. 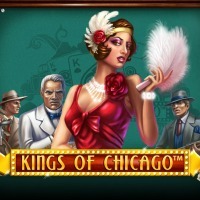 Lovers of video poker and fans of high-paying slots will enjoy Kings of Chicago from Netent. This video slot combines elements of slots with elements of Video Poker. So the highest payout is of course for the Royal Flush and there are wilds and free spins bonuses. 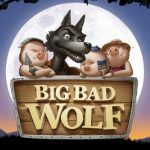 Big Bad Wolf is perhaps one of the nicest online slots ever made, with unique bonus features, great potential and great animations. Equally exceptional is the payout percentage of over 97.3%. What about the payout percentages of progressive jackpot slots? Progressive jackpot slots are hugely popular with online casino players. They are also extremely profitable for online casinos , because the chance of winning your money is extremely small. And if you win that towering jackpot worth several million, the casino will not feel that pain. Because it is the provider (for example, Netent or Microgaming) who pays out the jackpot and not the casino itself. Why is it that progressive jackpot slots like Mega Moolah and Mega Fortune are so popular? 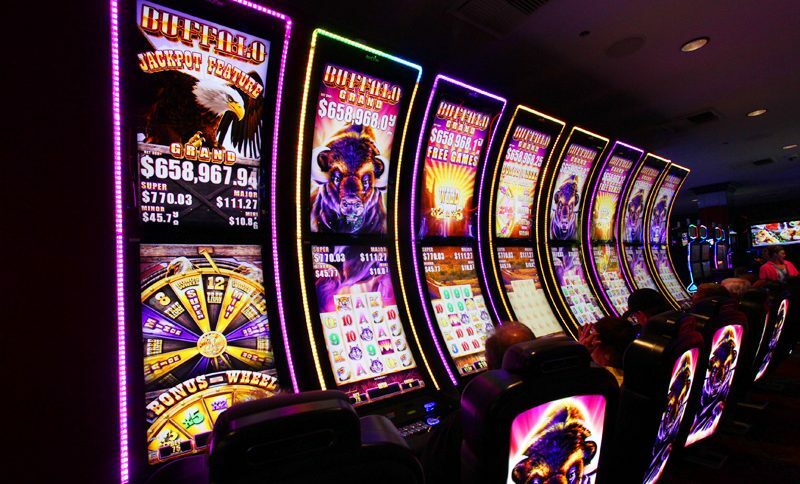 We almost hear it: if progressive jackpot slots pay so badly, why are they so hugely popular? That has everything to do with something called “sucker bet” in casino jargon. A sucker bet is a bet with very unfavorable conditions for the player, who is being served with a big pay-off. In other words, the player is presented with a fat sausage, so that he no longer dwells on his actual chances of winning. 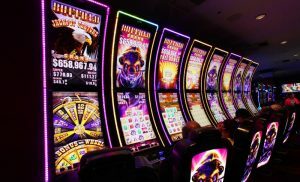 In essence, progressive jackpot slot machines create a beautiful smokescreen by screening with their jackpots that are worth millions of dollars. With this they throw sand in the eyes of the players, who are so blinded by the high prices, that they completely disregard the ratio. Because of this many players ignore the fact that many progressive jackpot slots have a very low payout percentage. Tears shoot entirely in your eyes when you know that progressive slot jackpot on any spin contents around 7% -8% as contribution to the progressive jackpots. There is a reason why progressive jackpots always increase so fast: each bet contributes significantly to the growth of the same progressive jackpot. Now you understand why it is almost impossible to win on progressive jackpot slot machines. Unless you win the jackpot, but that chance is negligible again. We therefore always recommend to play only limited on progressive jackpot slots and only if the jackpot is on a larger than average level.